Pure essential oils and fragrance oils from natural sources only. Essential oils are extracted from plants either by distillation or solvent extraction. They are highly concentrated and can be hazardous if misused. A little goes a long way! 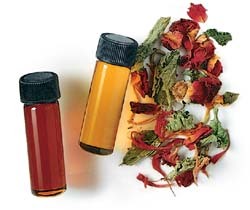 Fragrance oils are high quality natural oils steeped with herbs or flowers and not concentrated further. They are preferred when essential oils are too overpowering for normal use.